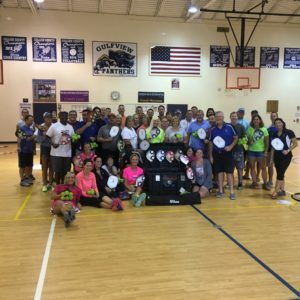 You are here: Home / Uncategorized / Pickleball For All Donates Complete Package to Collier County Schools! 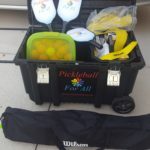 Pickleball For All Donates Complete Package to Collier County Schools! Pickleball For All donated a complete pickleball package which includes 40 Paddletek paddles, 2 Wilson portable nets, 12 dozen balls, 2 sets Wilson EZ court lines and a lock box that will carry it all. This is with the support of Paddletek, Wilson Sports, US OPEN Pickleball Championships and the many donors that support Pickleball For All! 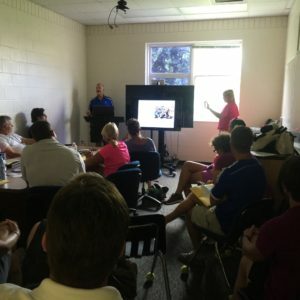 Paige Mitschele and Jim Ludwig working with the Physical Education Teachers, gaining their support and enthusiasm to continue bringing pickleball to the students of Collier County. Subjects touched upon were the growth of pickleball not only around the states but especially in Collier County. How teaching this sport will help these students to live a healthier lifestyle. Also, made the teachers aware of opportunities for them to apply for grants to help fund their needs as well. 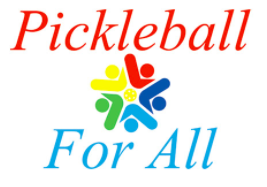 https://www.pickleballforall.org/wp-content/uploads/2018/06/image001-1.png 0 0 admin https://www.pickleballforall.org/wp-content/uploads/2018/06/image001-1.png admin2016-08-15 19:19:172016-08-19 21:33:31Pickleball For All Donates Complete Package to Collier County Schools! Pickleball & Hockey play together Volunteers Needed!